Injecting rooms: Push for 16yr old and pregnancy access. Push for pregnant women, 16-year-olds to be allowed to use injecting rooms. Increasing the number of New South Wales heroin injecting rooms as well as allowing pregnant women and 16-year-olds to use them, are some of the suggestions being put to a health department review. NSW Health is conducting a statutory review of the Medically Supervised Injecting Centre that has been operating in Sydney’s Kings Cross for more than 15 years. It has taken submissions from stakeholders before a report is prepared for the Baird Government. Chief Health Officer Kerry Chant said she does not want to “pre-empt” what recommendations will be taken to the Government. “We certainly consider all stakeholder consultation, representations as part of statutory reviews,” Dr Chant said. Last month, former Australian Federal Police Commissioner Mick Palmer joined a group of doctors calling for more safe centres for drug users to be rolled out in Australia’s state capital cities. 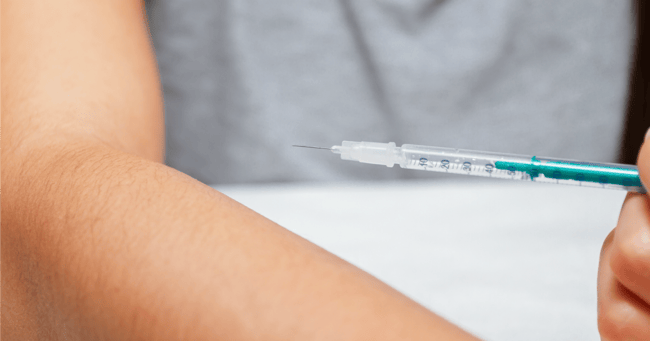 In its proposal the Australian Drug Law Reform Foundation called for an increased in the number of injecting rooms around the state. “I think western Sydney and south-west Sydney are obvious places to put them in,” President Dr Alex Wodak said. As part of its submission the foundation also wants pregnant women to be given access to injecting rooms. “I can understand it can be really difficult for the community but we have to not let the best be the enemy of the good. He said he would also support dropping the minimum age of users from 18 to 16. But the Opposition Health spokesman Walt Secord said it was a bridge too far. “If they come in they should be referred to appropriate counselling,” Mr Secord said.